➡ T&D stock and distribute the most extensive range of Copper Earth Tapes – this includes bare copper and covered tapes in a selection of coloured oversheathing used to provide earthing protection and connect metalwork, switchgear and transformers within LV, MV & HV substation buildings and outdoor compounds. 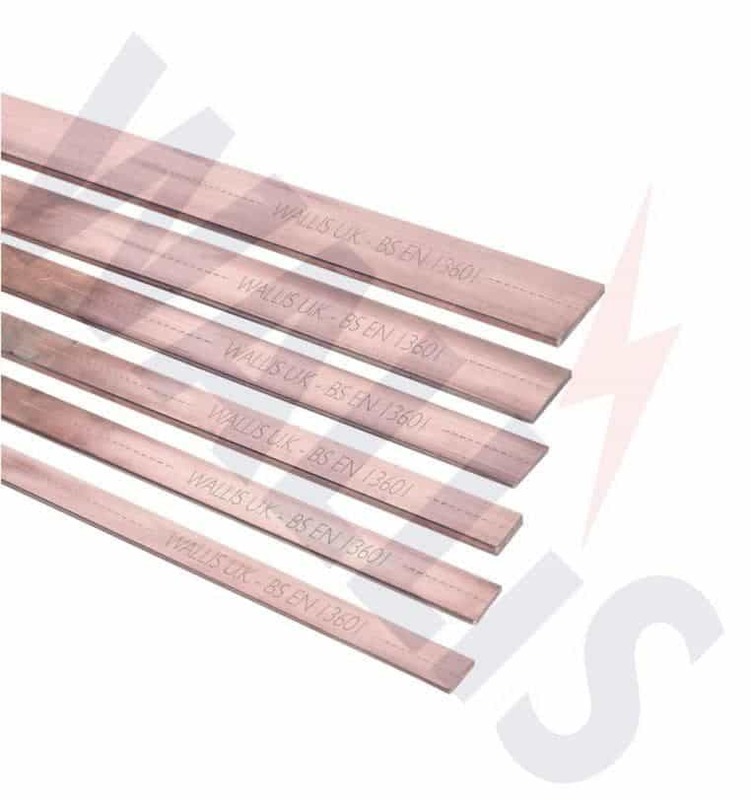 Typically, copper earth tapes are used as HV electrodes for standard earthing arrangements on ground mounted LV MV HV substations – the earth tape functions as a perimeter electrode installed to the outer edges of the foundation in direct contact with the soil and connected to the switchgear earth bars. The earthing will provide protection to exposed and normally un-energised conductive metalwork within the substation perimeter fence including panels, kiosks, lighting towers and oil tanks. 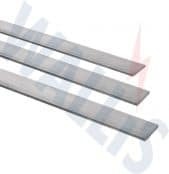 Within substation buildings, metal trench covers are indirectly earthed typically using bare copper earth tape (25mm x 3mm) installed along one edge of the trench top edge. 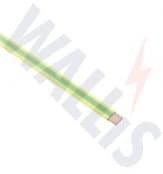 Where copper tape within the site is to be buried under proposed cable routes care should be taken to ensure it is buried deep enough into the ground or protected in cable duct to avoid damage during cable installation. 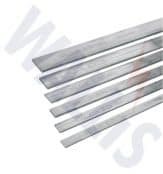 Common aluminium and copper tapes used for LV-HV earthing and bonding of electrical substations, switchgear, panels, pillars and cabinets are 25mm x 3mm, 25mm x 6mm, 38mm x 6mm, 40mm x 4mm and 50mm x 6mm – usually connected to the substation main earth bars. 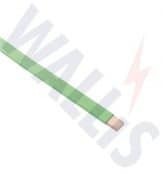 To deter the theft of copper conductors the earthing tapes can be stamped or embossed with the owners name as a precautionary measure. 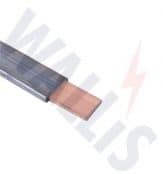 When jointing conductors and establishing earthing equipment connections tape to tape connections can be brazed or jointed by exothermic welding. Some examples of substation earth tape installations. 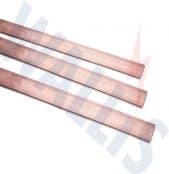 Due to the escalating occurrence of copper theft users often specify aluminium earth tapes connected to the underground copper tape using bi-metallic joints or connectors for above ground earthing or bonding of buildings and substations. 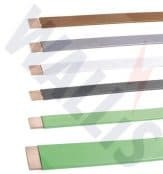 ➡ View the complete range of earth tapes in copper and aluminium with optional plastic covering, green/yellow earth identification sheathing, lead cover or LSF low smoke zero halogen properties.